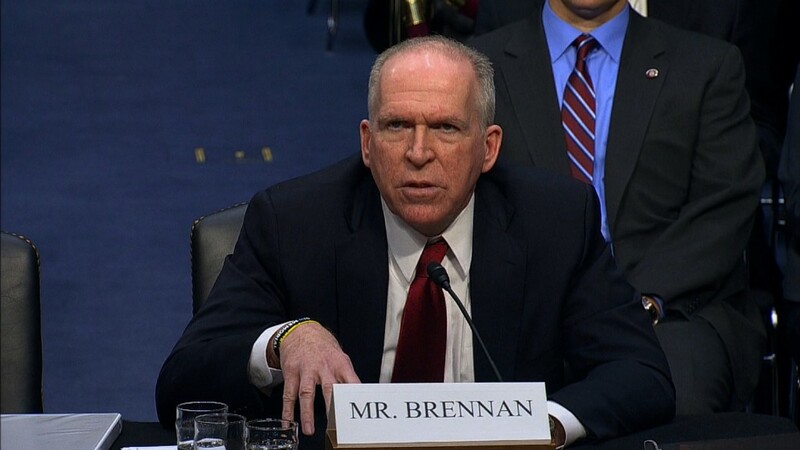 It seems way too easy to hack into the personal email account of CIA director John Brennan. On Monday, a group of hackers claimed credit for a breach of his email, as well as the account of Jeh Johnson, who heads the Department of Homeland Security. The hackers were first interviewed by the New York Post. CNNMoney reached out to the alleged hackers on Twitter, and in a subsequent recorded interview, the self-proclaimed hackers described who they are and how they did it. They say they are American and younger than 22. They smoke pot and go the by name CWA, for Crackas with Attitude. And their methods were incredibly low-tech. What follows is a conversation with CNNMoney's Laurie Segall and two of the purported hackers, in which they disguised their voices. CNNMoney: You claim you were able to hack the private email account of the CIA director. How did you do that? CWA: Well we have most of his personal information, like his name, address, phone number, Social Security number and other things and ... we like manipulated AOL to do the password reset on the account. If this is true that you guys have broken into his private email account, how difficult would you say it was? You say you were able to hack into his personal inbox, what did you find? Social Security numbers, plans talking about Iraq and Syria. There was a lot of private information really, he's really stupid. He's supposed to be so high in the government. Head of CIA. He should be more clever. Free Palestine. The United States government funds Israel, and in Israel they kill innocent people. We're going to do it until they stop funding Israel or until we get raided. Are you sophisticated hackers? How would you rate yourself in the hacking realm? I would count us as in the middle really. We're not like stupid but we're not really smart. There are a lot of really smart people. You plan to leak more information, is there any specific target? The government and the police. Like the White House people. They're losers. Do you guys worry about retribution? I'm going to go to Russia and chill with Snowden because I know the government is pretty mad about this I'm probably going to get tortured. I'm actually a pretty fast runner. For other government officials who have private email accounts, how vulnerable are other government officials to people like you? Really vulnerable. I would say 100% vulnerable. There's always something or someone that can make it vulnerable or exploit it and that's just what we're doing. Tell me about your background. Why is this so important to you? Because I don't always think about myself. Somebody's got to do something. The United States government aren't going to stop because they think they're above everybody so somebody's got to take a stand. Anything you can tell me about yourself? You're saying you might have hacked the director of the CIA while you were high? It was that easy. I could have done it with one hand. I could've done it with no teeth. How do you view yourselves? I view myself as a guy who likes computers and I don't like the government either. I'm not a terrorist. I'm a white boy.